Superior customer service is part of our culture at Cassemco. You will find our employees friendly, helpful – and most importantly, focused on helping you solve your foam and plastics challenge with a superior solution and product. More than just foam and plastic. At Cassemco, we think of ourselves as more than a manufacturer. We are a solutions company – seeking to be the leader in helping customers find innovative solutions to their foam and plastics needs. A partnership with Cassemco is more than buying foam and plastics products. It’s about building a relationship with a knowledgeable, trusted, committed source; adding value to your business – and actively contributing to your success in the marketplace. Whatever your foam or plastics need might be, Cassemco is here to deliver the right solution - on time and on budget. 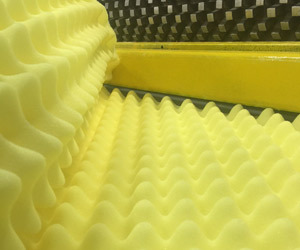 At Cassemco, solving YOUR foam and plastics problem IS our business!